Sliding closet doors are a common installation in American homes, but that doesn’t necessarily mean they’re the best option. 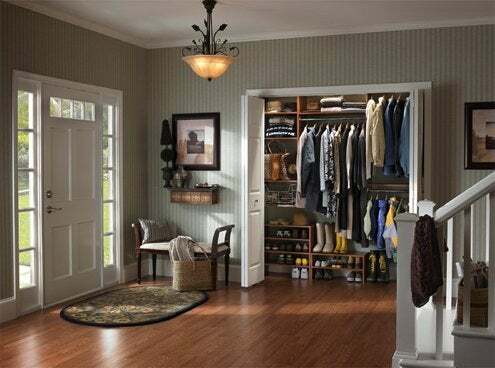 If you’re looking for a space-saving alternative, one that will enhance the look of your closets and provide easier access to their interior space, then consider installing bi-fold closet doors. Bi-fold closet doors are easy to install and offer myriad options, including basic flat-panel looks, traditional six-panel designs, louver- or shutter-style panels, and contemporary mirrored panels, not to mention doors with glass inserts. All bi-fold closet doors are similar in construction, consisting of two symmetrical door panels that pull outward from a center pivot hinge. Mounted on the sides of a closet opening, these doors allow access to the entire closet—not one half of the closet at a time, as is the case with sliding doors. Also, because bi-fold doors do not swing, they take up less floor space than a conventional hinged door, making them ideal for installation in tight spaces like a hallway. Most large home improvement stores sell bi-fold closet doors in standard sizes to fit a typical opening; many also sell reasonably-priced kits that include the door panels, installation tracks, installation hardware, and door pulls or knobs. These kits come with diagrams that show how the hardware should be positioned on the door frame and on the door panels. Following the diagram will ensure that the pieces are correctly installed and that the doors work properly. Most retailers also offer custom-order bi-fold doors that can be sized to fit virtually any opening—wider openings may require several sets of doors. The first step when installing bi-fold closet doors is measuring the closet door opening and purchasing a kit in the correct size. The combined measurement of both doors should be about an inch less than the total width of the opening, and one to two inches less than the height of the door frame. This is to allow sufficient room for the hardware. 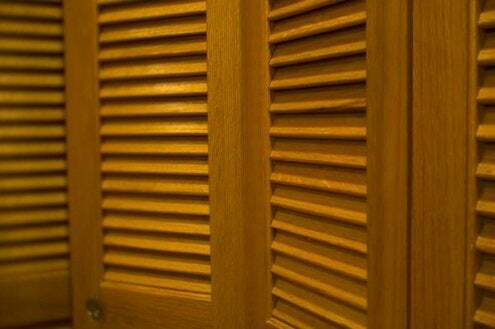 Prior to installation, paint, stain, or finish the door panels as desired. Next, use screws to install the top rail, placing it so that the end of the rail touches the side of the door frame where you want the door panel to be seated when opened. The next step is inserting dowels into pre-drilled holes in the tops of the door panels. Check the installation instructions to identify the different types of dowels included in your kit. Usually there are several different types of dowels, each of which serves a different function. 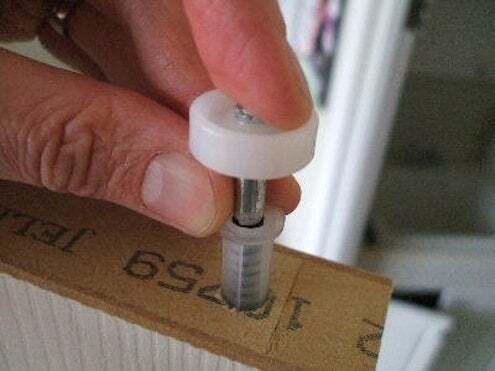 One dowel should have an adjustment screw that allows you to adjust the height of the door; this dowel should be placed near the side wall on the bottom. Meanwhile, stationary dowels should be placed in the top and bottom of the door panel, on the side farthest away from the hinge. Finally, insert the dowel with spring assembly into the top of the door panel that is closest to the side wall. Once you have installed the dowels, set the door panels into the top and bottom rails and adjust the screws in order to center the doors. Make sure that the doors open and close properly. Once the doors are centered, tighten all hardware and install the door pulls or knobs. Throughout the process, it’s wise to consult the manufacturer’s instructions for details specific to your individual kit. 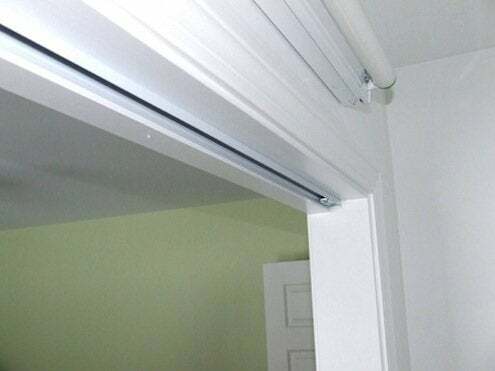 Installing bi-fold doors is an easy and affordable weekend project for most DIYers, and it’s a project that will enhance both the look and accessibility of your closets.